June E. Berry was born on June 1, 1925 in Torrington, Connecticutt, the daughter of Harold Kett Berry and Marjorie Beatrice Card Berry. She graduated from Torrington High School. She came to Utah where she earned her Bachelor of Arts from Brigham Young University, her Master of Science from the University of Utah, and her Doctor of Education from BYU. 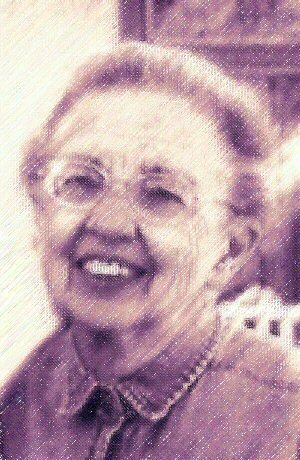 June Berry was a Librarian and taught library science at Brigham Young University High School. She first came to BYH in the 1948-1949 school year as Library Director, and continued in same position through the end of the 1967-1968. She would have continued longer, but that was the year when the Brigham Young High doors were closed. She also worked at the College of Idaho, and in the Granite School District. June lived a lot of her life in her beloved West Mountain, Utah, with her mother Marjorie. June was very active in The Church of Jesus Christ of Latter-day Saints, serving as Sunday School Teacher, Genealogy Specialist, Temple Worker, and Humanitarian Service Leader. Her personal loves in life were: genealogy, humanitarian service and gardening. She loved serving everyone around her. She was preceded in death by her father and mother, and also by her brother, Lloyd Berry. She is survived by her brother, William Newell (Marilyn) Berry; her nephews and nieces, William Kett (Jane) Berry, Mark Lynn Berry, Wendy (Thomas) Liddle, Lenard Scott (Sonya) Berry, Diane Berry, Jilene (Brenden) Scott; along with all her great and great-great nephews and nieces. They all loved her deeply as she loved them. June E. Berry passed away peacefully on June 14, 2005. Graveside services were held in her memory on Saturday, June 18, 2005, at the Payson Utah Cemetery.